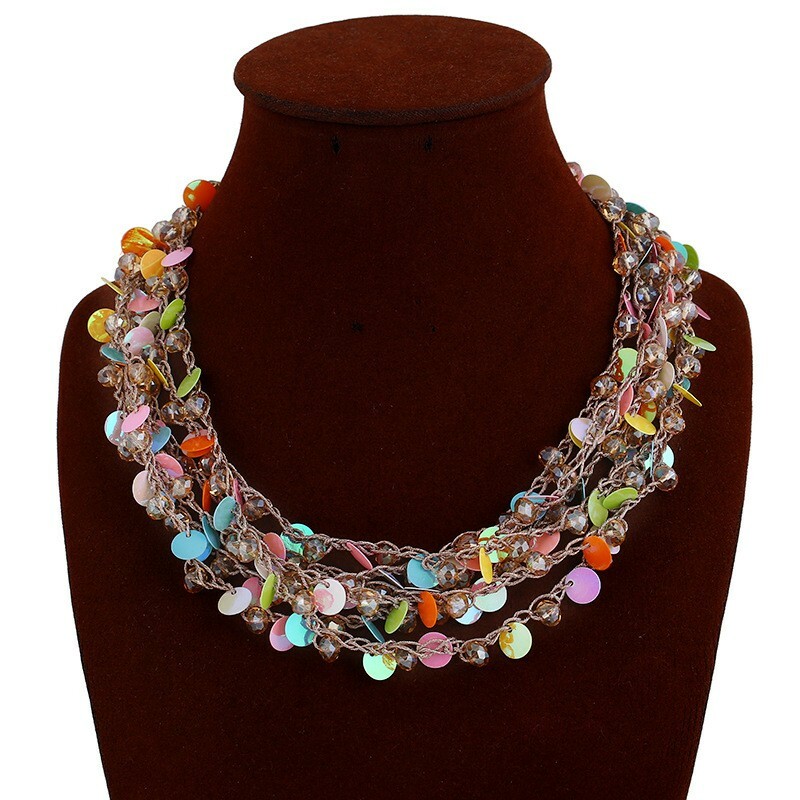 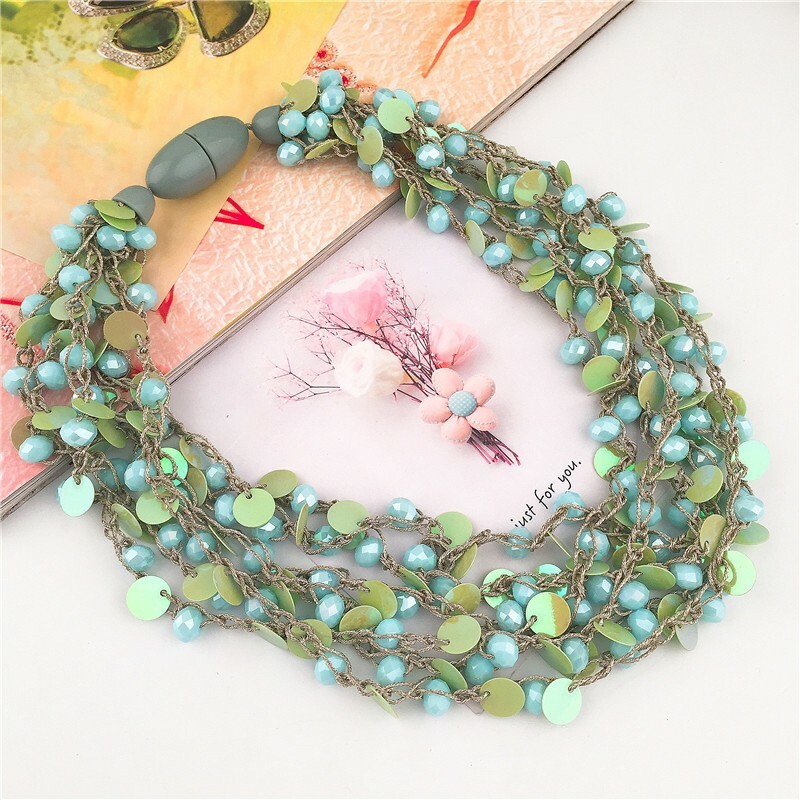 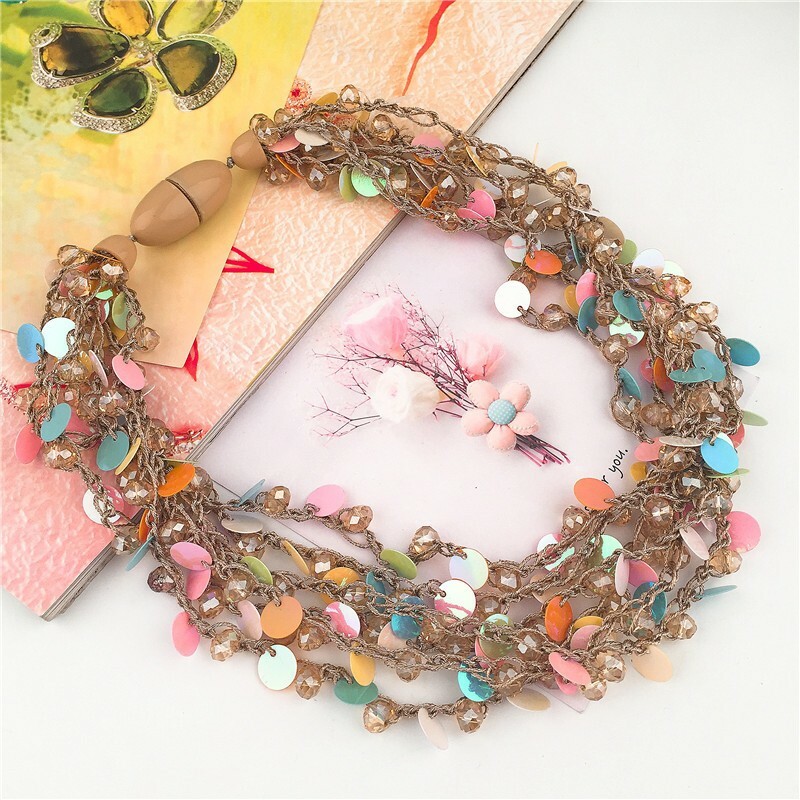 Make a nice and beautiful style with this colorful multi layering sequins statement necklace .The colorful beads and sequins are connected by high polished alloy chain. 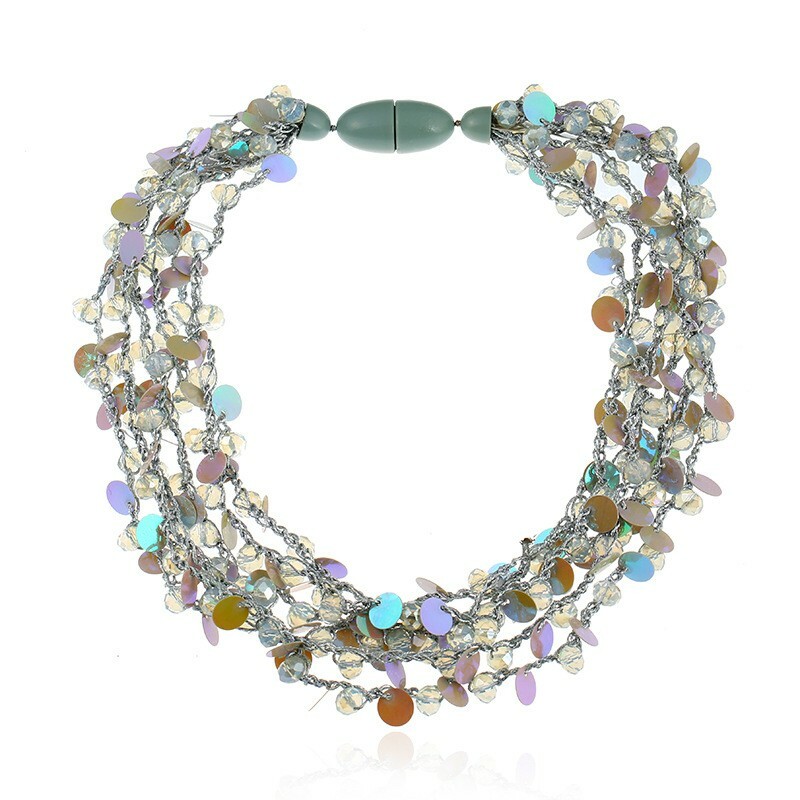 Three colors for choose, green, white, and multi-color. 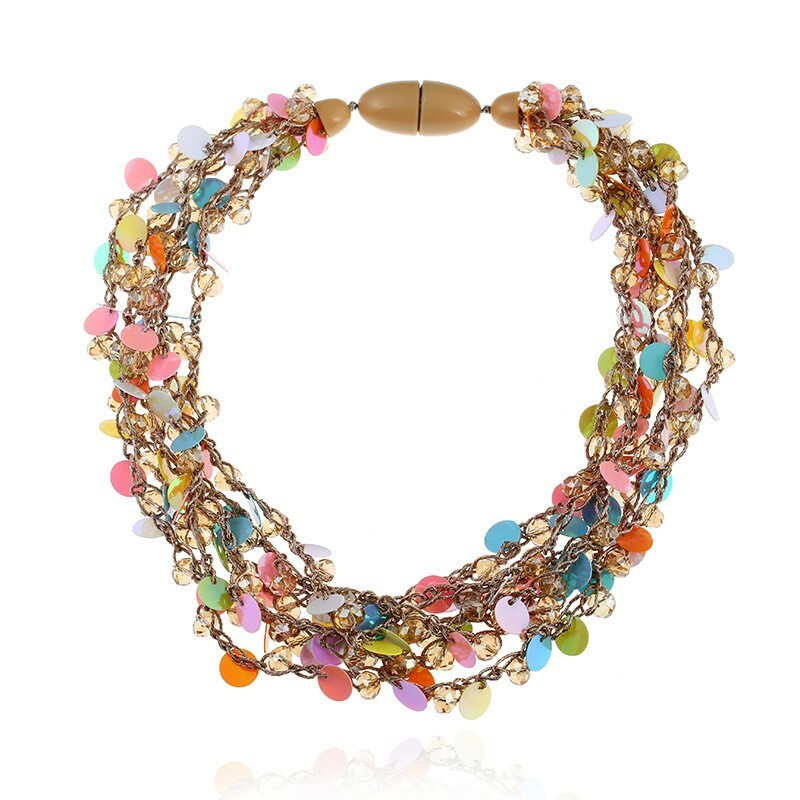 The colorful sequins and beads design will keep you glowing through the holiday season. 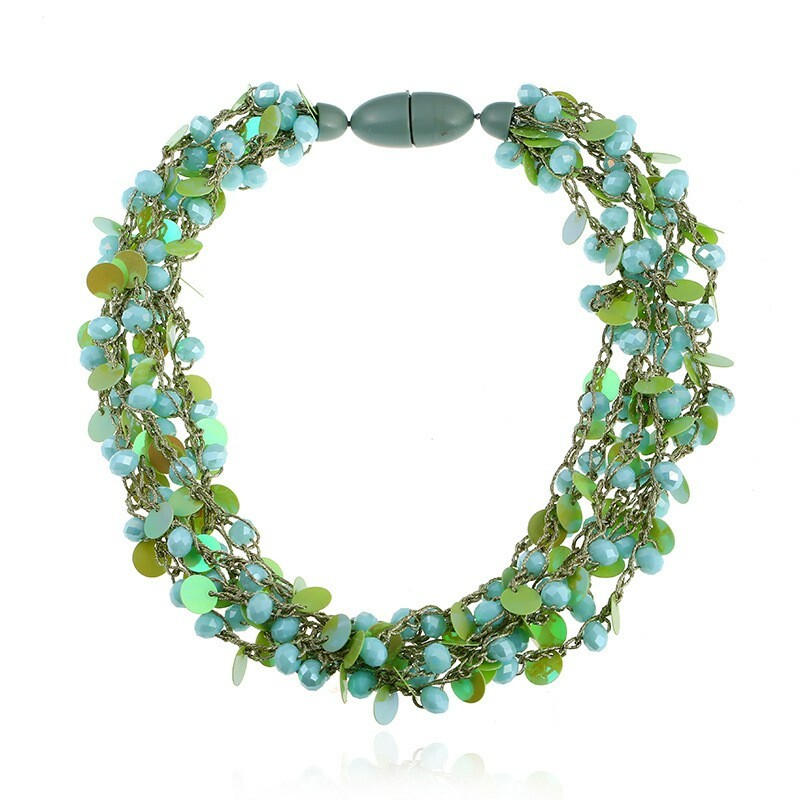 Wear this nice simple design art deco bib statement necklace,to let your costume jewelry necklaces to take center stage. 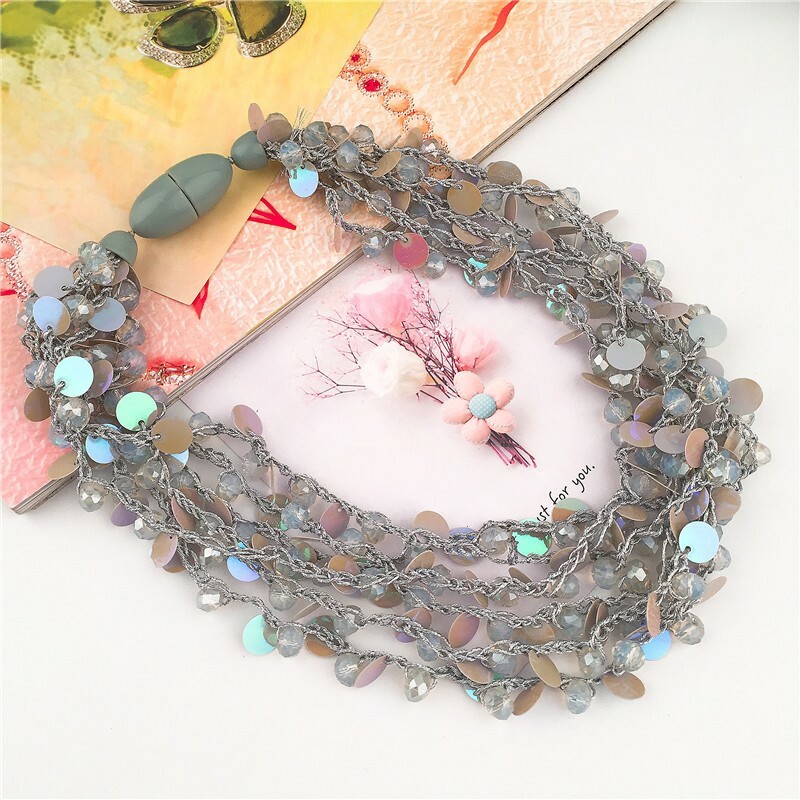 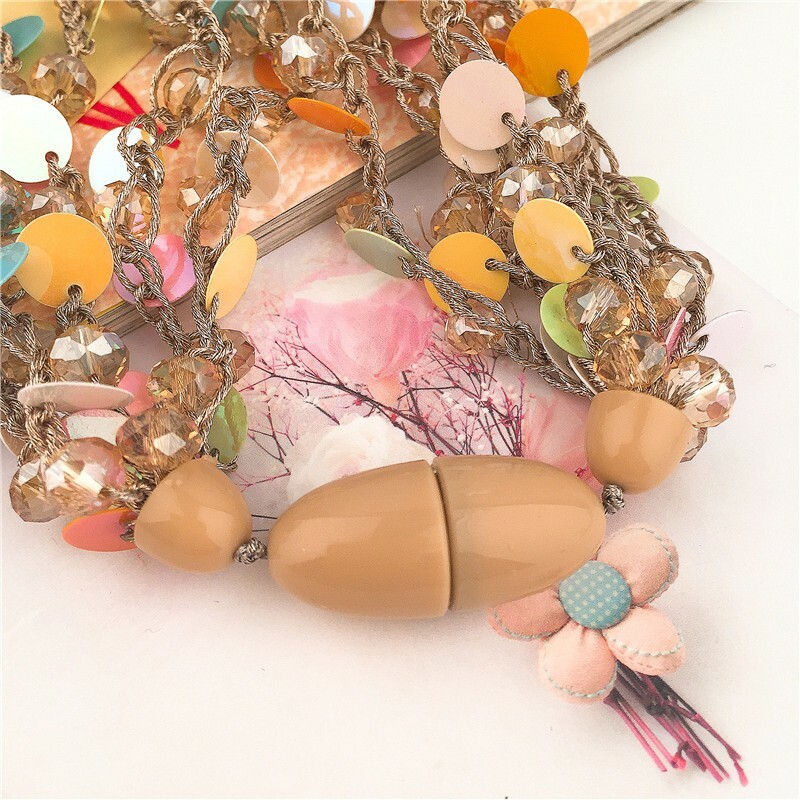 We provide all styles latest fashion jewelry wholesale online, Choker &Bib &Statement Chunky necklaces, delicate long layered flower necklace, elegant pearl bracelets, beautiful Chandelier crystal earrings, personalised Costume gold rings, and many more.